1788 was a big year for the US, adding 8 states, the most of any year. One of those states was South Carolina, which became the 8th state to join the Union on May 23. South Carolina is also famous as being the first state to secede from the union in 1860, leading to the civil war. Finding historical beer information pertaining to South Carolina has been slow going (and I can imagine it will only get worse from here out), but I did run across a book: Charleston Beer, that had some interesting, albiet more chronological state specific beer history, gleaned from old newspapers. In glancing through the book, looking for a topic for this post, I honed in on a reference to various colonial beer styles. In Beer in America, there were many references to colonial beer, and one of the main points often mentioned is that a modern beer drinker would not recognize the beer styles of the colonial times, both in quality and in ingredients. In the Charleston book, they reference a newspaper advertisement from 1766 that listed: Double brewed Spruce Beer, table and small beer. So far this year, we have had a table beer, and talked about small beer, but Spruce Beer is a new topic for us. Spruce, often used as a substitute for other ingredients during colonial times and brewed with molasses, was also employed by ship captains to ward off scurvy, however modern science has now cast doubt that enough of the vitamin C remained through the brewing process to aid the sailors. Had we done our research, we could have tried it back when we passed through Pennsylvania, oh well, add it to a future list, as we do not have any spruce beer from South Carolina this week. Instead, we will be sampling two interesting beers from South Carolina, both of them brewed at the same brewery, but not by the same brewer. 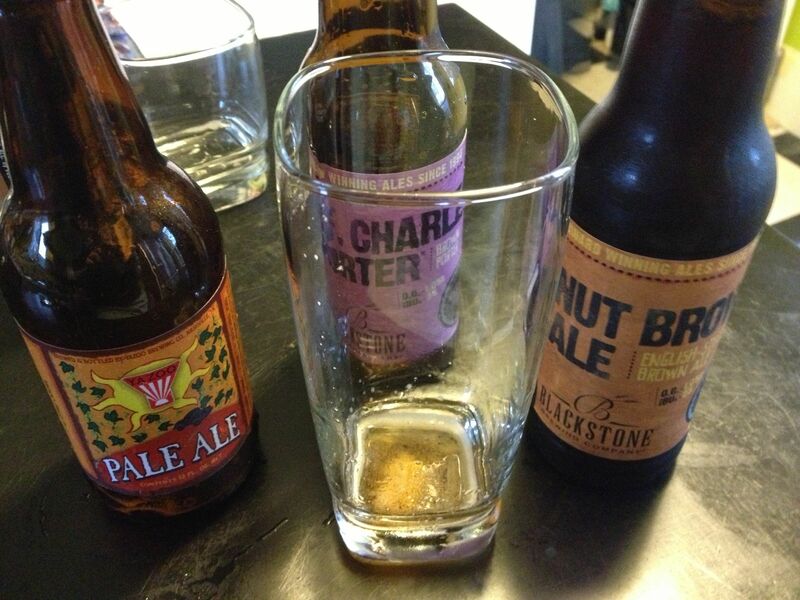 The first beer is from Westbrook Brewing in Mt. Pleasant, SC, called White Thai. 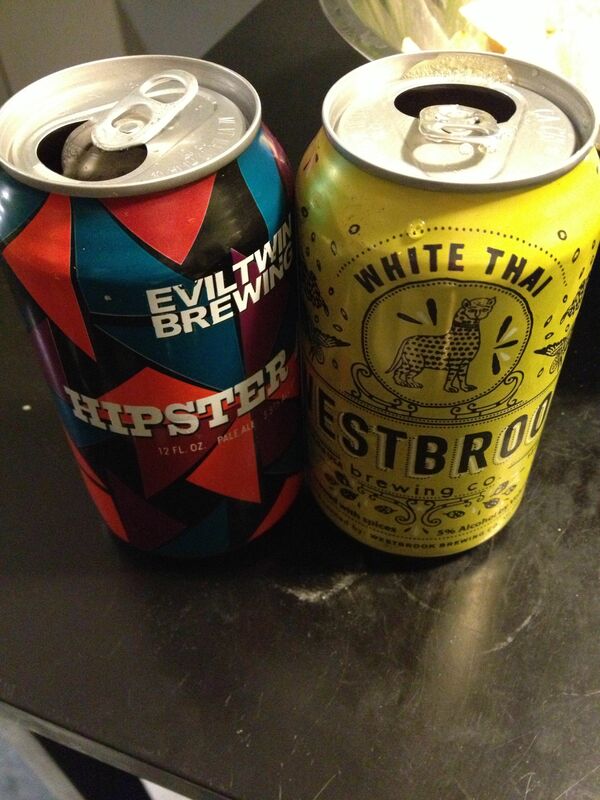 The second beer, originally brewed in Denmark, under the name Williamsburg Hipster, is now called Hipster Ale, from Evil Twin Brewing. It might not be spruce, but this beer does contain fresh lemongrass (vitamin C) and ginger root which makes it pretty unique, and so far I have not come down with scurvy this week. This beer also contains a dash of Sorachi Ace hops. Named after an adminstrative division, or subprefecture, in Japan, this hops was developed in the 1970s for Sapporo Breweries, but was not made commercially available until 2006. When used as part of the brewing process, the resulting product will add a lemon aroma and taste to the beer, which sounds like it will complement the Southeast Asian cuisine theme quite well. I drank this beer straight from the fridge, which was about 35 degrees, not quite the recommended 45° from the brewer. (I didn’t see the recommendation until later). In the glass, this beer had a slight floral smell, that became more apparent as the beer warmed in the glass. With the inclusion of lemongrass and Sorachi Ace, I was looking for a lemon smell and taste in this beer, however I didn’t pick up any lemon. The taste and the mouthfeel of this beer was nice, light and refreshing. 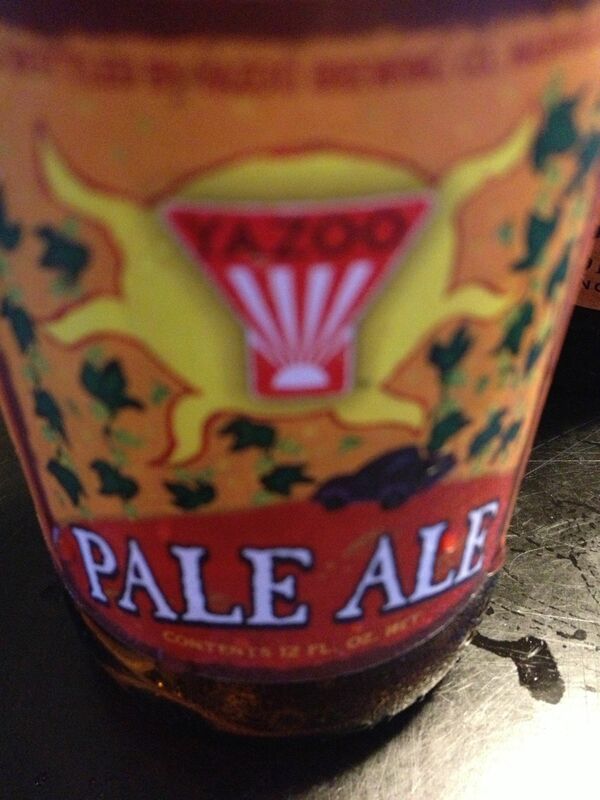 This beer had hints of spice, but it was not overpowering. In the end I enjoyed this beer, but not sure if I could drink too many (its the spice thing). I will have to try it again as recommended by the brewer, at 45° and in a wine glass. Maybe with some spicy Pad Thai. The next beer of the week has an interesting heritage, and depending on the rules you care to establish, it may or may not be considered a South Carolina beer. 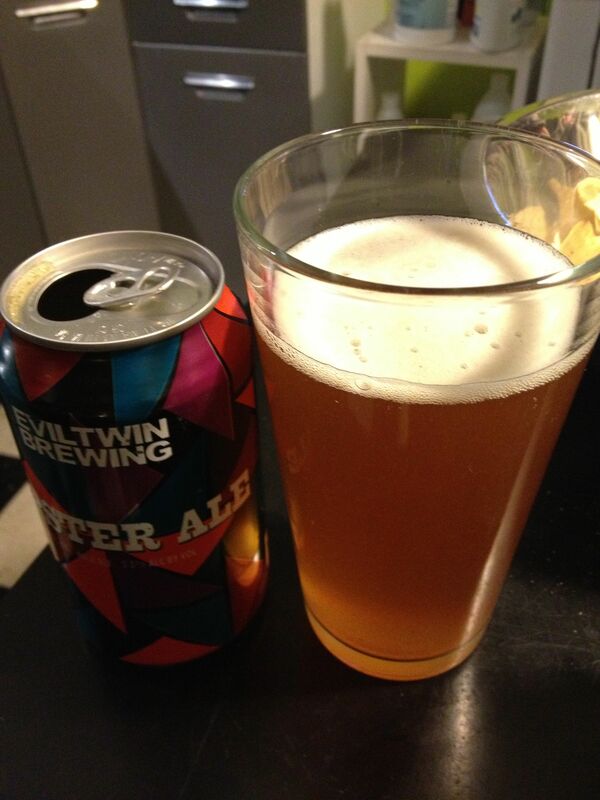 Brewed by Evil Twin Brewery, Hipster Ale was the second and final beer of the evening. Evil Twin brewery started in Copenhagen and now also lists an office in New York. 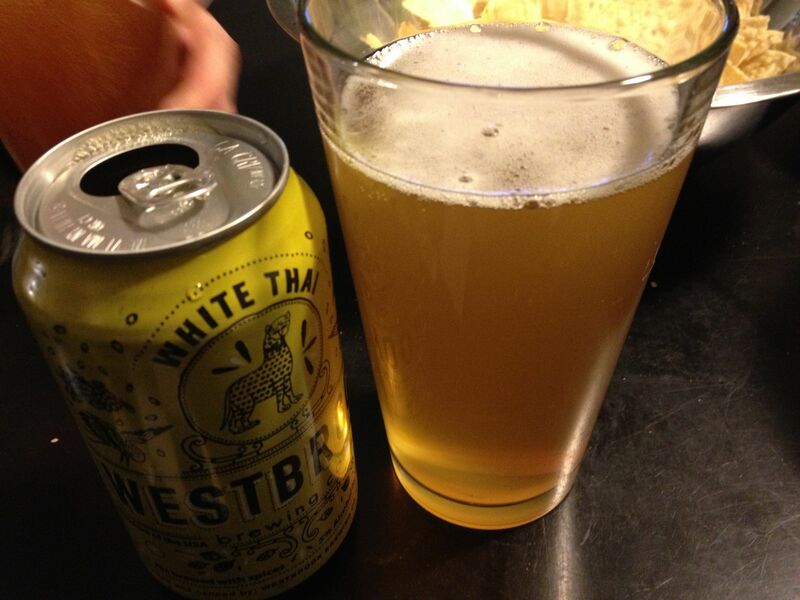 However the Hipster Ale was brewed, and canned, at Westbrook Brewery in South Carolina. 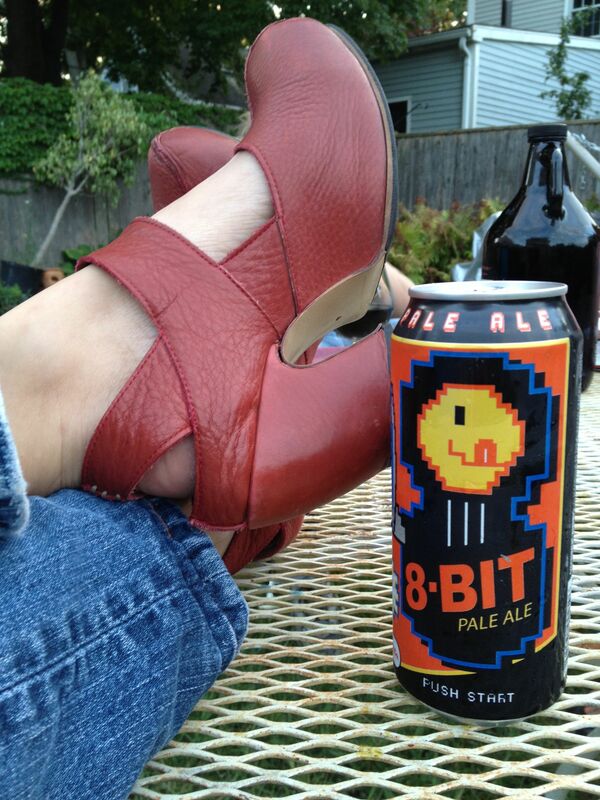 The first thing you will notice when you reach for a can of Hipster Ale, is the eye catching pattern, with its patchwork of multi-colored triangles. In the glass, this beer looks wonderful. It has a very nice honey color and a beautiful head. This beer is an American Pale Ale, a style of beer that highlights the citrus flavors of US hops, and that is clearly the case with this beer, with its strong citrus and piney aroma. The mouthfeel and taste of this beer was excellent, with a slight bitterness, but not an IPA bitterness. 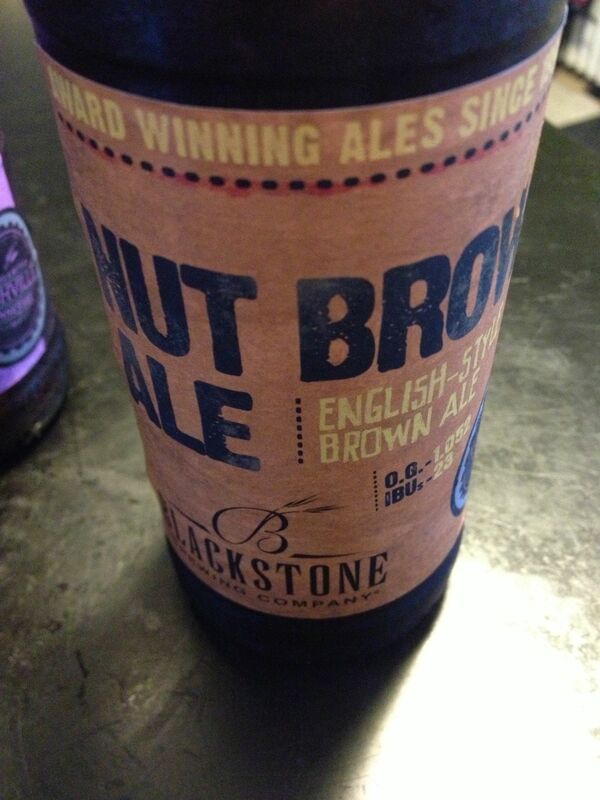 It is very enjoyable and I have found myself going back for this beer often. I am still struggling with the name of this beer. I would be shocked to see a beer of this quality with so much character replacing the slot usually held by a PBR in the hands of a hipster. But do not let the name deter you, this is a wonderful beer worthy of space in anyones refrigerator. See you next week, as we are allowed to live free and die in New Hampshire.